March/April 2015River Runby Porter Barron Jr. 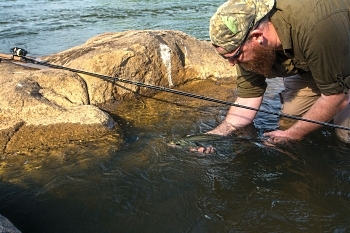 The spring spawning run of striped bass up the Congaree River gets the hearts of dedicated river anglers pumping, and better fishing over the last few seasons, the result of stakeholder-initiated harvest restrictions, is generating new buzz about this unique fishery. 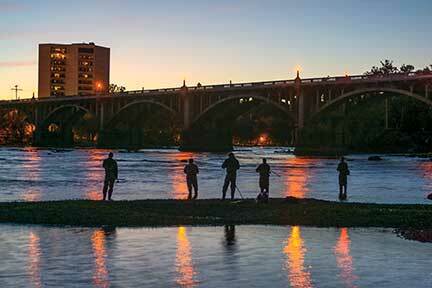 On a cool April night last year, wading out among the rocks in the Congaree River near downtown Columbia with Noel C. Rodgers, headlamps off and walking sticks floating at our knees, Rodgers pointed me toward an inky shadow cast by the lights of the Gervais Street Bridge. Somewhere in that shadow was a big rock, behind which likely lurked a hungry striped bass, or so he claimed. "OK, you see the rock?" "Remember what George told you about current seams? (George Osbaldiston - another Columbia striper enthusiast who's fished these waters since the 1970s.) You see the line coming off that rock? You want to cast at the rock and let the river take your plug down that seam." "Got it," I lied again, and cast blindly into the darkness. 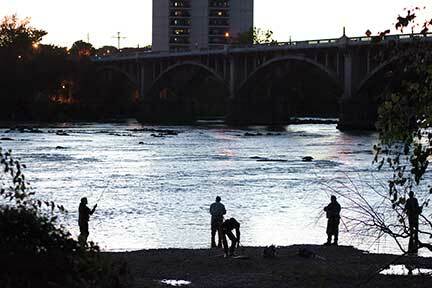 Soon though, the rhythm of fishing took over, my eyes adjusted and the contours of the Congaree began to emerge. 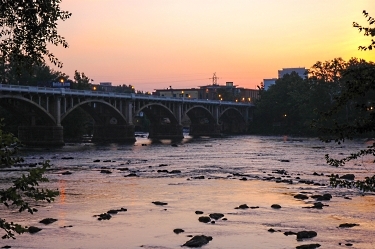 Bridge traffic rumbled overhead - cars and trucks headed into the city's popular Congaree Vista nightlife district - but the river's white noise muted the downtown din. Eventually, my plug began landing where it should and floating down the seam. Mercifully for the striper-rush-addicted, after a period of not-so-great fishing, this powerful gamefish has been gradually returning up the Congaree in increasing size and numbers, spurring hopes of better days ahead for this legendary fishery. And in this case, the "good ol' days" were really good. In the 1960s and '70s, anglers lined the river's shoals to engage in one of the Palmetto State's most exhilarating and unusual fishing encounters. Back then, landing several thirty- to forty-pound lunkers in one outing was not unusual. Some even used wheelbarrows to haul their catches up the then-undeveloped riverbanks where Columbia's popular Three Rivers Greenway now meanders. It's a heck of a story. To understand it, the first thing you need to know is this: the Santee-Cooper lakes are one of only about a half-dozen freshwater impoundments in the country in which striped bass can reproduce naturally, thanks to the length of their two tributaries - fifty miles of Congaree and seventy miles of Wateree rivers, both unimpeded until above the Fall Line. That unobstructed run of rocky, free-flowing current is crucial, because once a female striper broadcasts her million or so eggs into the river, it keeps them suspended in the water column long enough to hatch. During the spring spawning run, "landlocked" stripers from the Santee-Cooper lakes - man-made impoundments created in the 1940s to provide electric power to the rural areas of the South Carolina coastal plain - make the journey up through the heart of what is now known as the COWASEE Basin, searching for the perfect spot to lay their eggs. And it's that magic period each spring that focuses intense angler attention on the area around the confluence of the Broad and Saluda rivers (where the Congaree begins) near downtown Columbia... at least it once did. Jim Bulak, research coordinator for the S.C. Department of Natural Resources' Freshwater Fisheries section, has been studying the Santee-Cooper striper population since the 1980s. Striped bass are considered primarily anadromous fish, and most spend the majority of their adult lives in salt water, traveling inland only to spawn in coastal plain rivers. And while biologists once thought that construction of the lakes trapped a population of these fish in freshwater, they now know that probably isn't true. "What's more likely is that there was already a resident population of riverine striped bass (ones that lived in the Santee River basin year round) before the dams were built," says Bulak. "But all of a sudden, when you put the dam there, now you've got an additional 160,000 acres of food-producing habitat." Stripers took full advantage of that new habitat, and their population in the lakes exploded in both numbers and size. It wasn't very long before people began to notice. In 1958, stock car racer "Tiny" Lund caught a fifty-five-pounder that easily qualified as a state record at the time, and word of this unique inland fishery began to spread. 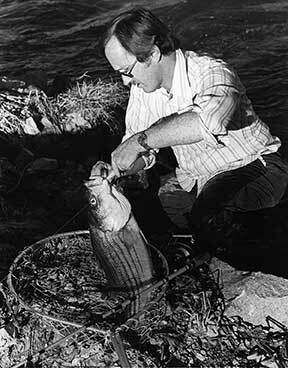 During the 1960s, DNR biologists developed propagation techniques that led to Santee-Cooper stripers being stocked in freshwater reservoirs across the country. The result, for many anglers, is that striped bass fishing has become synonymous with loading up a motorboat with an arsenal of rods, lures and live bait, hitting a lake and firing up the fish finder - an excellent pursuit, but, as Rodgers would be quick to point out, one that has little in common with the Capital City's turbulent Fall-Line river fishery. 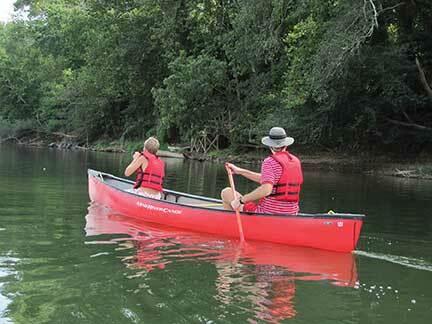 Wading in the roughly three-mile stretch of fast-moving water between Columbia's Riverbanks Zoo and the Gervais Street Bridge, Rodgers, George Osbaldiston and their friend Chris Powell ply streams and pools amid granite outcrops and wooded islands shorn by the confluence of the Broad and Saluda rivers, searching out ambush points for feeding stripers. 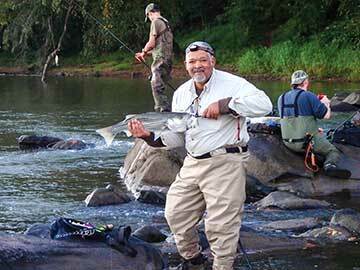 The trio are dedicated river anglers for whom fishing is more than just a weekend hobby. In addition to building their own rods and lures, they know Columbia's rivers better than most, and, when pursuing stripers, they travel light and often after dark, bounding from one boulder to the next or wading chest-deep to reach casting range of a promising run. Conservationists dedicated to the catch-and-release ethic, they rarely take a striped bass home, and keep a DNR officer on speed dial in case they encounter poachers. 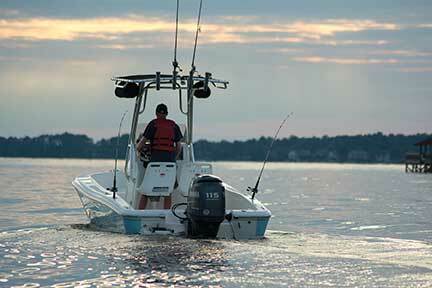 It's an approach to fishing that encompasses more than just catching fish. "In the middle of the night on the river, say it's a new moon, there's no ambient light, so my sight is dulled. I have the continuous white noise of the river, which is dulling my hearing," says Rodgers. "When the fish hits, there is no thought. It is the only time that I can regularly exist purely in the moment." The cold water from the bottom of Lake Murray Dam that feeds the lower Saluda serves as a "thermal refuge" for adult stripers, which grow increasingly intolerant of heat as they age. As the lower Saluda is mostly navigable between the dam and the zoo, a lot of those larger fish have become easy pickings with the advance of fishing technology. "There's a whole fishery on the Saluda where these guys wander around with their depth finders until they find a fish and then put the [bait] right in front of its nose until it eats it," says Osbaldiston. "I never was a fan of that." For Osbaldiston, the fun of fishing rivers is in studying them up close, reading their surfaces, looking for breaks in the currents downstream from rocks or other structures that create "seams" where hungry stripers can feed on passing baitfish. "Eighty percent of the fish you catch will be within ten feet of a seam," he says. "The fish want to sit in the stillest water they can with active water around them. The challenge is making it worth their time to expend the energy to get off that position. The fish is watching what's coming downstream at it, and it's going to make a decision whether it wants to move out of the really still water based upon the appeal of the lure and the surrounding water dynamics." Crucial for the river angler, Osbaldiston adds, is fishing the entire seam. "When you think of fishing structure, you think of the fish being right next to the structure, but stripers don't do that. They orient themselves down the current line. 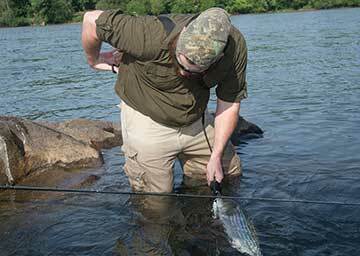 You'll see the trout right behind the rock, but you have no idea where the striper will be on that line." Osbaldiston has been fishing the river long enough to remember the boom times of the 1970s. He, along with Rodgers, also lived - and fished - in Columbia during the fishery's marked decline during the mid-2000s. Both agree that things are improving now. 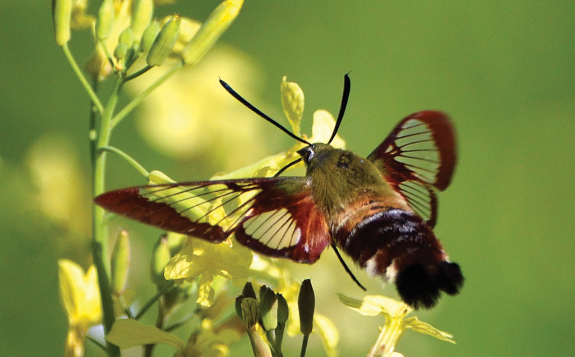 "We've watched them grow from 21 to 23 to 25 inches over the last couple years, and that's coincided with some other things, particularly the raising of the limit to 26 inches," says Osbaldiston. "I'm seeing a lot more fish that would have been removed by now [in years past] than I used to." The stripers' recent comeback is no accident. In fact, it is directly attributable to an effort initiated by the DNR in 2007 to address the problem of declining striper populations in the Santee-Cooper system as a whole. "In the mid-2000s, we had that drought, and there was some fairly heavy fishing pressure, so the stock got reduced to low levels," says the DNR's Bulak. Something had to change, and the agency's fisheries biologists realized that in order for that to happen, the people most affected had to be a part of the decision-making process. So, they planned a series of stakeholder meetings. "The idea was that we would contact all of the legislators whose districts bordered the system, from Camden to Columbia to Monck's Corner, and they would each appoint a representative or come themselves. Our role was supplying the information - what we knew about the stock from our research. Then they debated what regulations to put in place." The stakeholders agreed that limits should be raised from twenty-one inches and five fish to twenty-six inches and three fish. The larger size limit allows female stripers to reach sexual maturity before becoming subject to harvest. 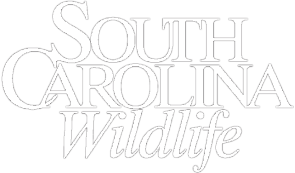 To combat high levels of mortality related to catch-and-release fishing in the hot summer months, an outright ban on targeting stripers from June to September was also put in place (except in the colder waters of the lower Saluda River below the Lake Murray Dam, where summer catch-and-release is allowed). Improvements to water flows coming from the dam have also helped improve habitat downstream. "The regulations were put in place in May of 2008, and, fortunately, we had very good recruitment that year," says Bulak, "which means the combination of spawning and hatchery stocking was very successful. One reason for the perception that fishing has been improving is that year class is now six years old, and we're starting to see a lot of those bigger fish." 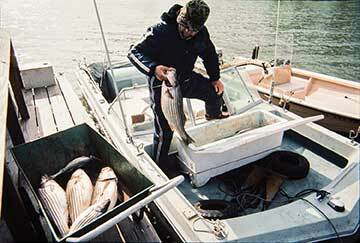 DNR scientists, anglers and others with a vested interest in the recovery of the Santee striper fishery are waiting, fingers crossed, to see if the gains made over the last few years will take hold and spell better times ahead. "The thing for us is, ‘What's behind that 2008 year class?' We've not had as good a class since then," muses Bulak, "but certainly, the abundance of stripers has increased greatly since the new regulation was put in place." It's not at all a sure thing, but nonetheless, optimism is rising among Rodgers, Osbaldiston and their cadre of like-minded river anglers. This past October, the pair invited a group of die-hard striper anglers they met through the stripersonline.com website to Columbia for a weekend of fellowship, fishing and the opportunity to trade techniques and swap hand-made lures. The group, which included anglers from as far away as Knoxville, Richmond and Philadelphia, has been gathering in Columbia since 2005. Rodgers, a talented builder of wooden plugs, made commemorative spooks for the 2014 get-together, hand-painting "Catfish Fling" on each one, a reminder of leaner times. When the group got together that first year, the only fish landed all weekend was a single, sad catfish. Things were different at the 2014 "Fling," reports Rodgers, with many of the participants catching good-sized stripers. With a bit of luck, continued vigilance on the part of DNR fisheries biologists, and the cooperation of these conservation-minded anglers, more "good ol' days" for this unique fishery may lie ahead. 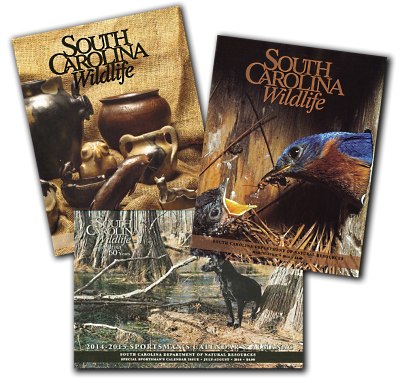 This is Columbia-based freelance writer Porter Barron Jr.'s first assignment for South Carolina Wildlife.